In what turned out to be an awesome morning of military aircraft spotting at Rockhampton Airport, also on Friday 31 August, Royal Australian Air Force (RAAF) Boeing B737-7ES / E-7A Wedgetail Airborne Early Warning & Control (AEW&C) aircraft A30-005 was also spotted completing a missed approach at Rockhampton Airport. 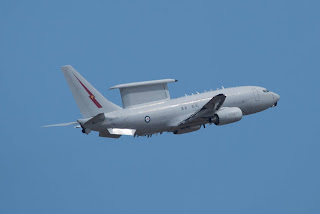 A30-005 was flying as "Wedgetail 07" and looked to fly up to Rocky from its home base at RAAF Base Williamtown near Newcastle in New South Wales. 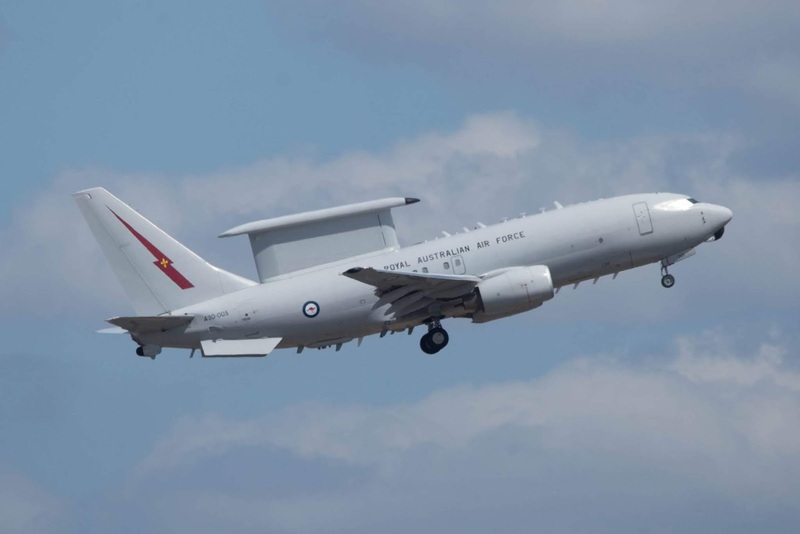 After completing its airwork at Rockhampton Airport, A30-005 flew back towards the South later landing back at Williamtown. Of interest, A30-005 was also reportedly in the skies over CQ on Thursday 30 August, flying from Williamtown to Far North Queensland and back but as "Wedgetail 05". 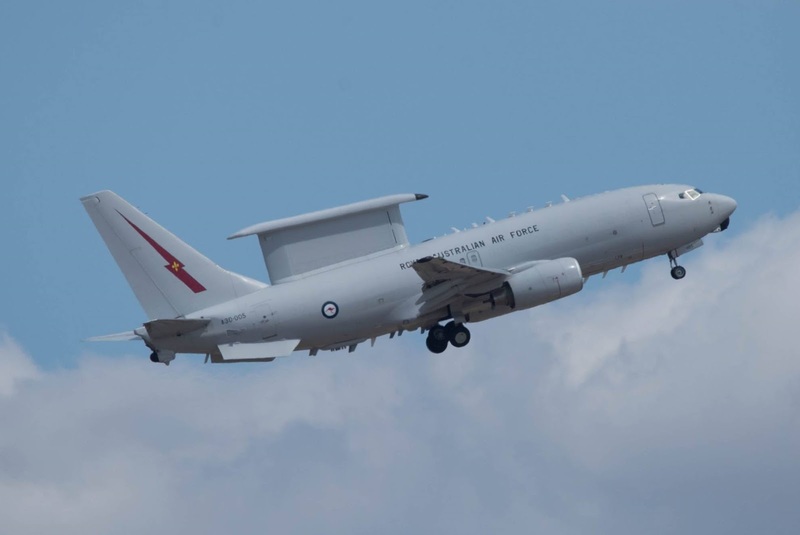 And as posted below, it was noted completing airwork at Hervey Bay (Fraser Coast) Airport on Wednesday 29 August also as "Wedgetail 05". 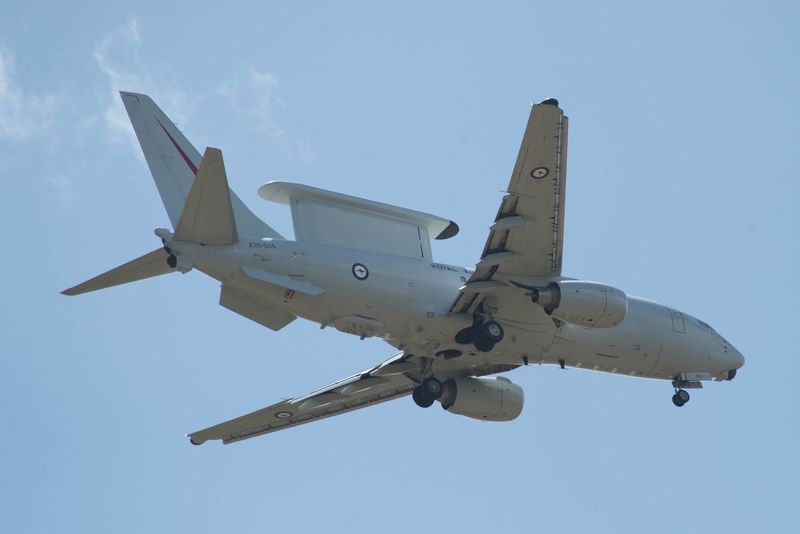 A30-005 is one of six Wedgetails that are flown by the RAAF's No. 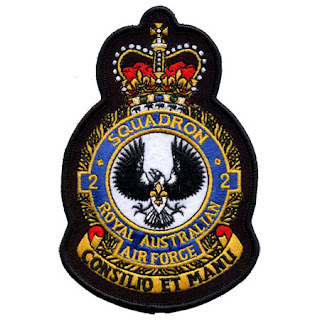 2 Squadron out of RAAF Base Williamtown, along a detachment also in the Northern Territory. Sincere thanks to local plane spotters Scott H and Daniel B for again taking the time to capture and send through these great photos! 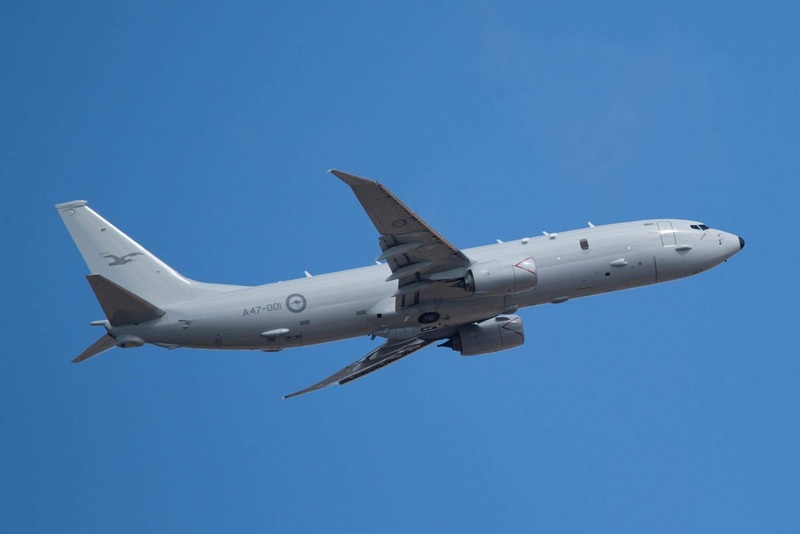 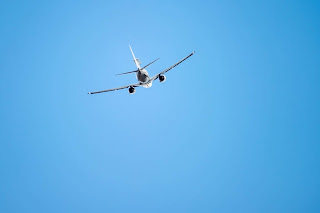 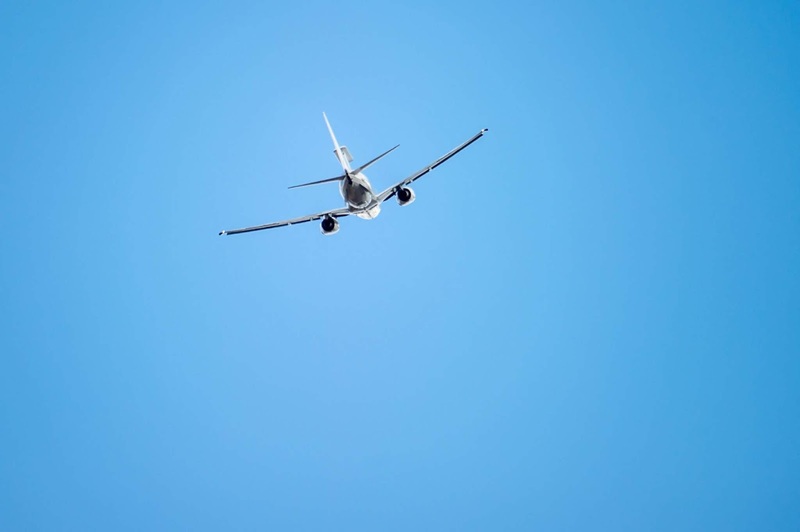 On Friday 31 August, Royal Australian Air Force (RAAF) Boeing P-8A Poseidon Maritime Surveillance Aircraft A47-001 was spotted completing a missed approach at Rockhampton Airport. It flew South from Townsville (where it had arrived the previous day via what was believed to be airwork in the Whitsundays) and after completing its airwork at Rocky, A47-001 looked to head South towards Victoria before looking to eventually return to its home base at RAAF Base Edinburgh in South Australia. A47-001 was heard to be using the radio callsign of "Mariner 46" which is of the RAAF's 292 Squadron. 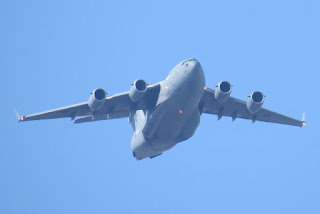 Sincere thanks to local plane spotter Scott H for taking the time to capture and send through these great photos! 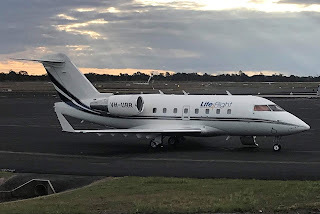 It's been a busy couple of days for a couple of the LifeFlight (Aeromed) bizjets with both Bombardier CL-600-2B16 Challenger 604 bizjet VH-URR "Ambulance 604" and LearJet 45 bizjet VH-CXJ "Ambulance 452" both noted calling into CQ Airports. 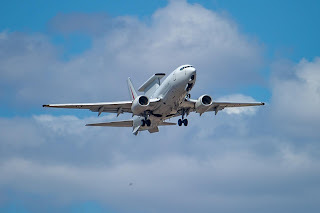 On Wednesday 29 August, VH-CXJ was noted visiting Emerald Airport from Brisbane. Then on Thursday 30 August, VH-CXJ arrived into Rockhampton Airport from Brisbane and Townsville. It then departed to Brisbane before flying into Longreach Airport. 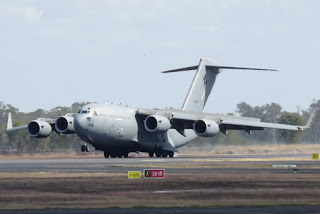 Now in the wee small hours on Friday 31 August, VH-CXJ then flew across to Rockhampton Airport before calling into Mackay Airport and concluding its adventures inns. 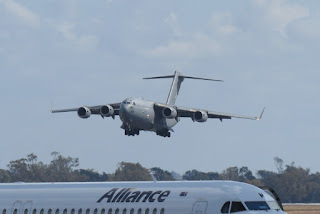 Meanwhile, just after midnight on Thursday 30 August, VH-URR was noted arriving into Rockhampton Airport from Brisbane. 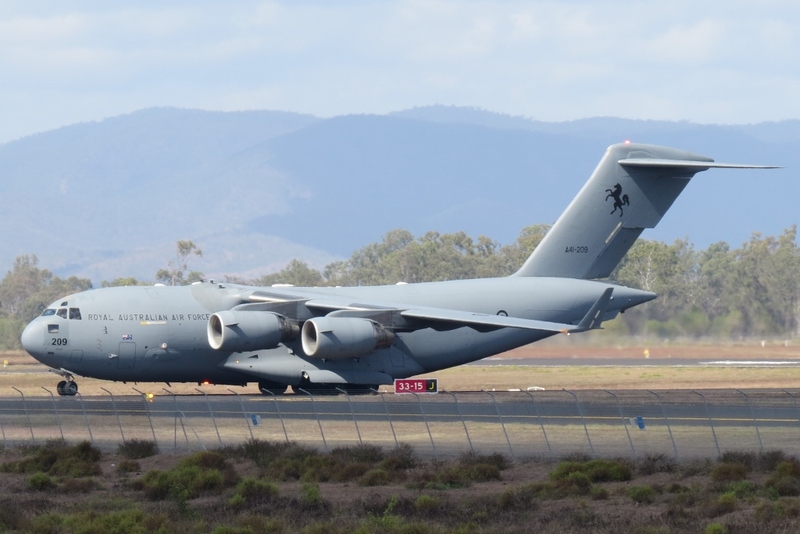 It then departed to Townsville before it returned to Brisbane. After a busy day of flying on Thursday 30 August, Professional Jet Aviation Cessna 525 Citation CJ1 bizjet VH-CDG was noted arriving into Rockhampton Airport from Archerfield. 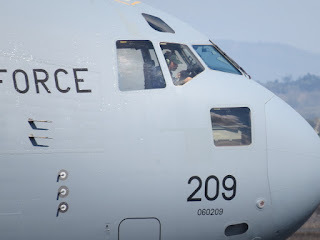 At the time of writing, it appears that the nice little Citation was staying for at least the night. UPDATE! 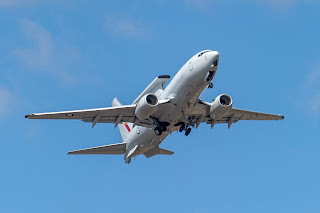 VH-CDG departed back to Archerfield on Sunday 2 September. 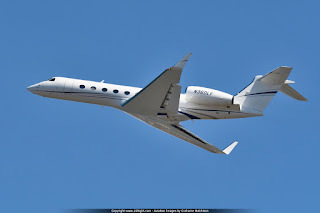 On Thursday 30 August, American-registered but (seemingly) Australian-based Gulfstream Aerospace G550 bizjet N360LF was noted arriving into Hamilton Island Airport from Sydney. 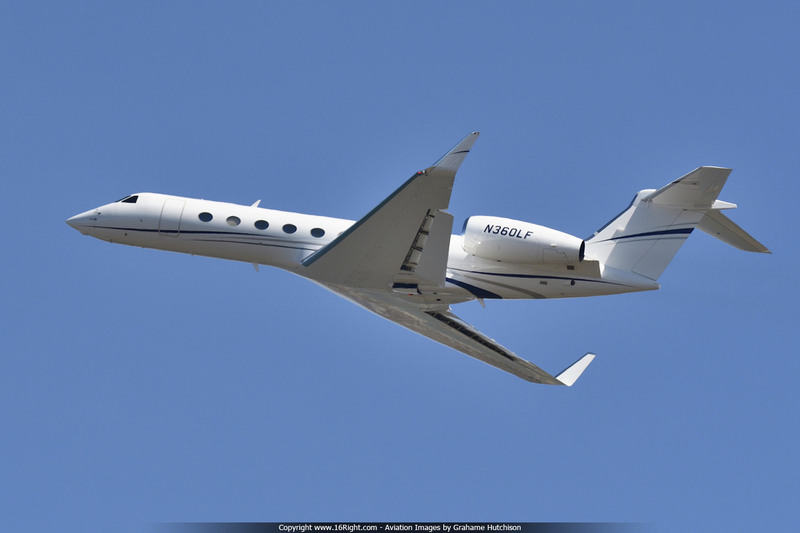 This was reportedly the sleek Gulfstream’s first flight since being re-registered from N360WF which was operated by Westfield Aviation. At the time of writing, N360LF appears to be staying at Hamo for at least the night. UPDATE! 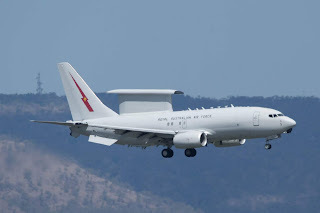 On Sunday 2 September, N360LF was noted departing Hamilton Island Airport and returning to Sydney. 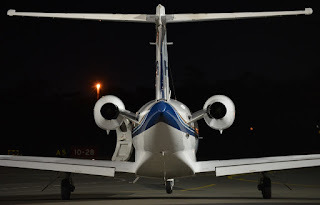 Meanwhile, back on the mainland at the Whitsunday Airport as Shute Harbour, Mitchell Water Cessna 525 Citation M2 bizjet VH-WMY was noted arriving on Tuesday 28 August at the end of a busy day of flying. 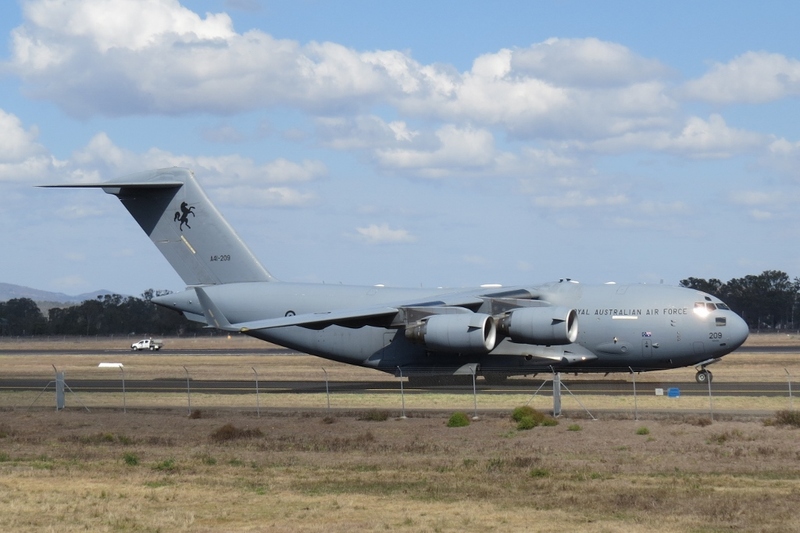 It departed on Wednesday 29 August for Archerfield, Bendigo and Melbourne (Moorabbin) from whence it departed the previous day. 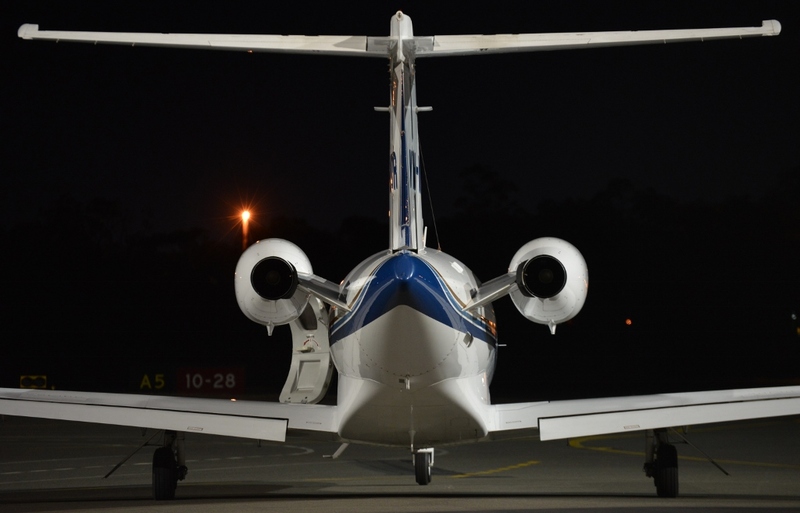 Sincere thanks to Grahame H for allowing us to share his great photo of a nice little bizjet. On Wednesday 29 August, Cessna 510 Citation Mustang bizjet VH-NEQ was noted arriving into Bundaberg Airport from the Gold Coast. 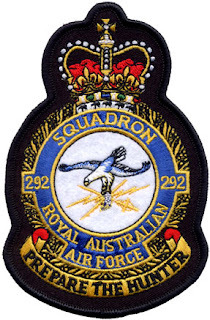 It was heard to be using the radio callsign of "Airmed 298". After being on the ground for around 90 minutes, VH-NEQ departed to Dubbo in New South Wales before continuing to Melbourne (Avalon) again as "Airmed 298". 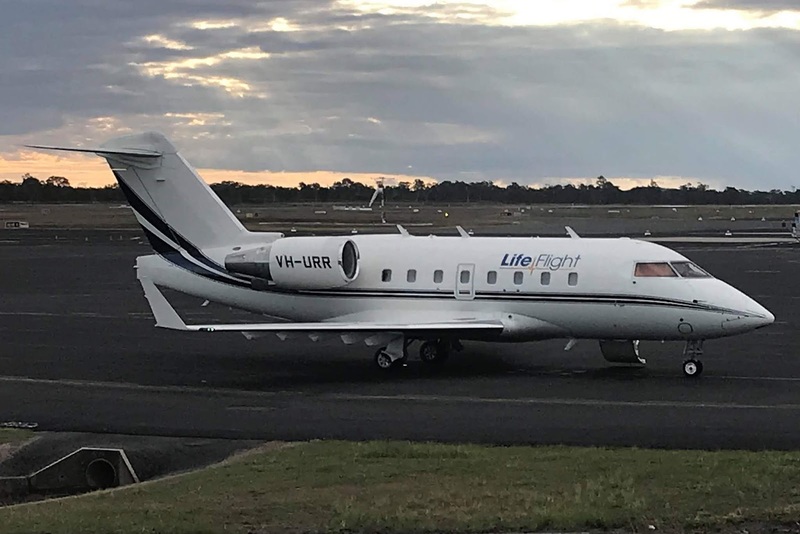 The sleek little bizjet has recently has its operator details updated to AirMed Australia - a New South Wales (NSW) based organisation that has been providing patient transport services by air and by ground for over a decade. 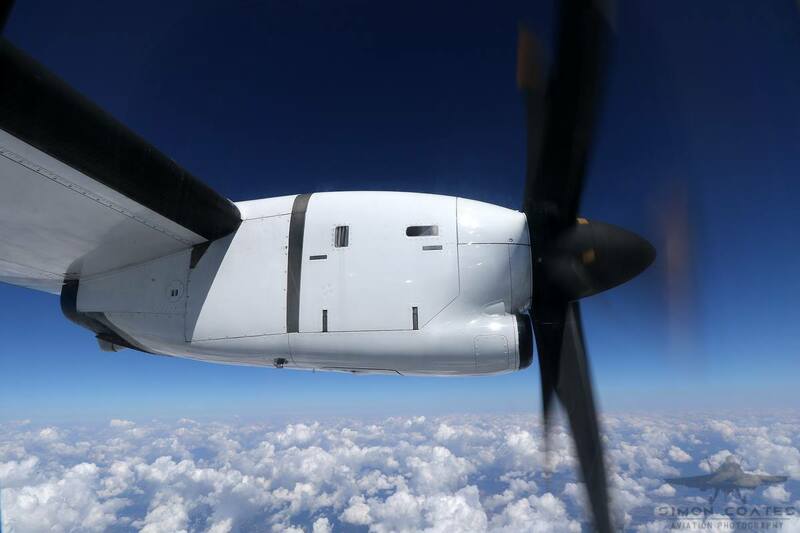 They promote themselves as one of the few providers that have extensive air and ground assets positioned around NSW, thus enabling them to provide their customers with a true “bed-to-bed” service. 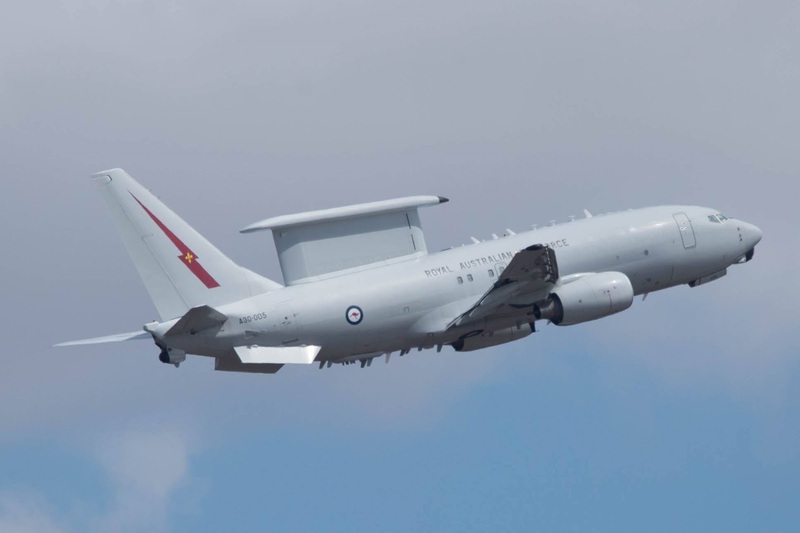 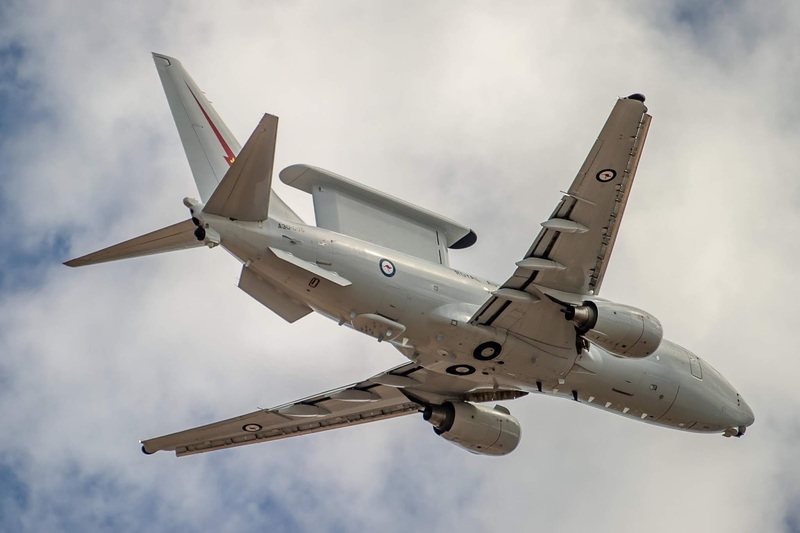 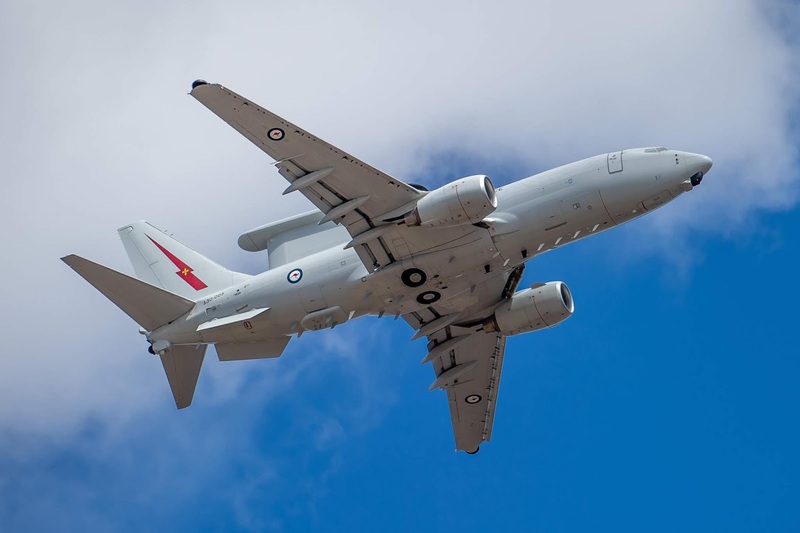 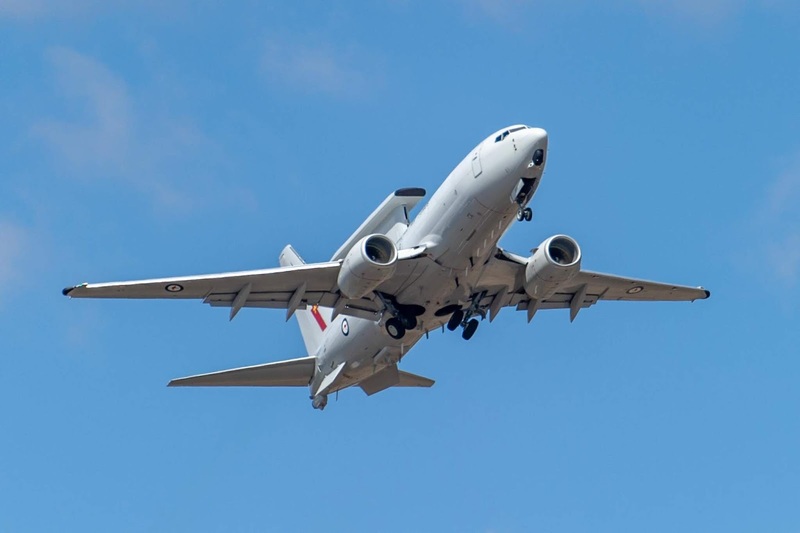 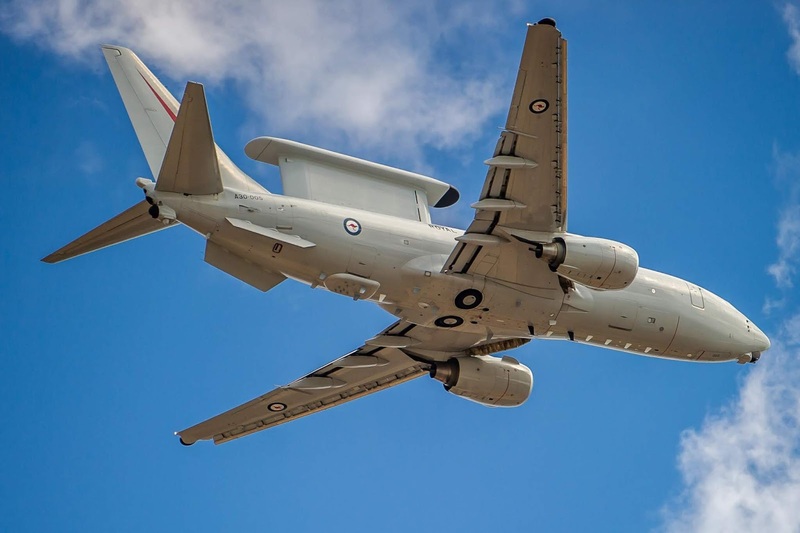 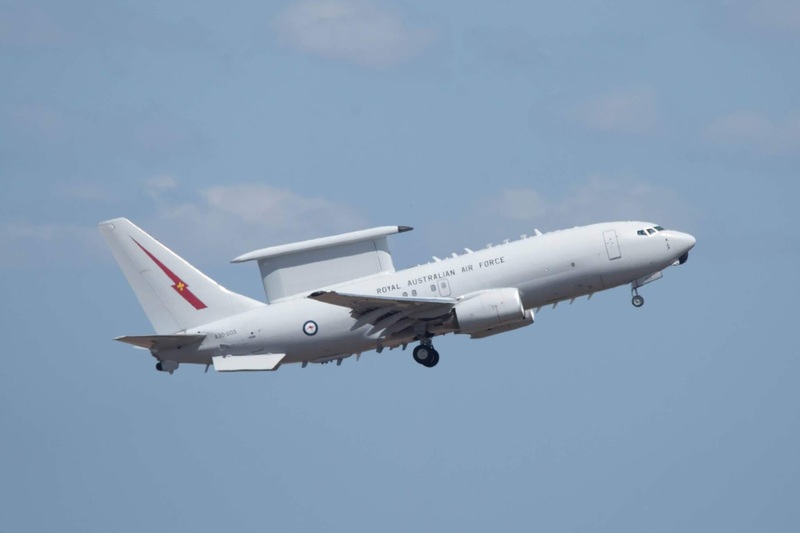 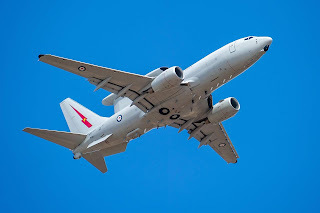 On Wednesday 29 August, Royal Australian Air Force (RAAF) Boeing B737-7ES / E-7A Wedgetail Airborne Early Warning & Control (AEW&C) aircraft A30-005 was believed to have conducted a missed approach at Hervey Bay (Fraser Coast) Airport. A30-005 was flying as "Wedgetail 05" and reportedly flew up to Hervey Bay from RAAF Base Williamtown near Newcastle in New South Wales via airwork at Coffs Harbour. 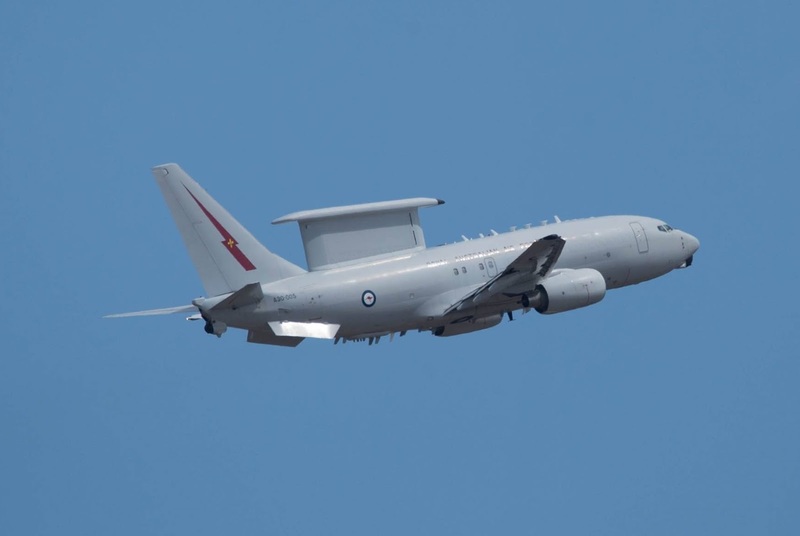 After completing its airwork at Hervey Bay Airport, A30-005 was noted flying back towards the South. 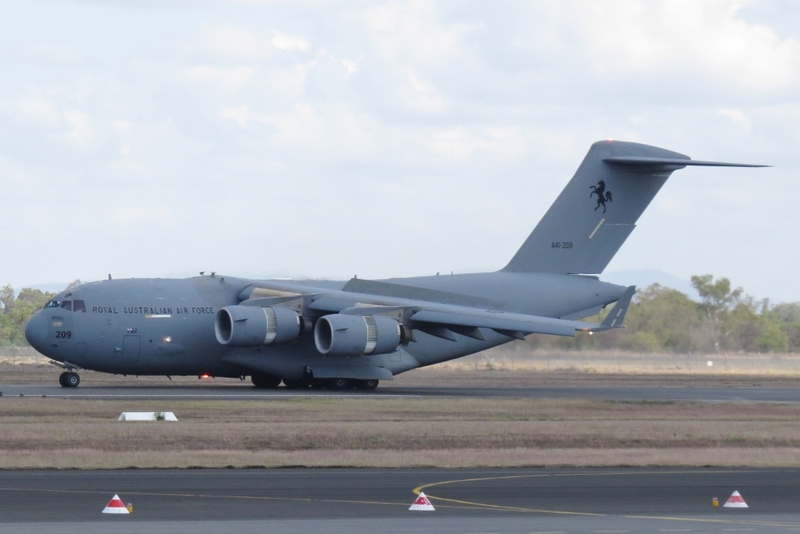 It was a busy day at Longreach Airport on Monday 27 August with no less than five Royal Australian Air Force (RAAF) aircraft calling in. 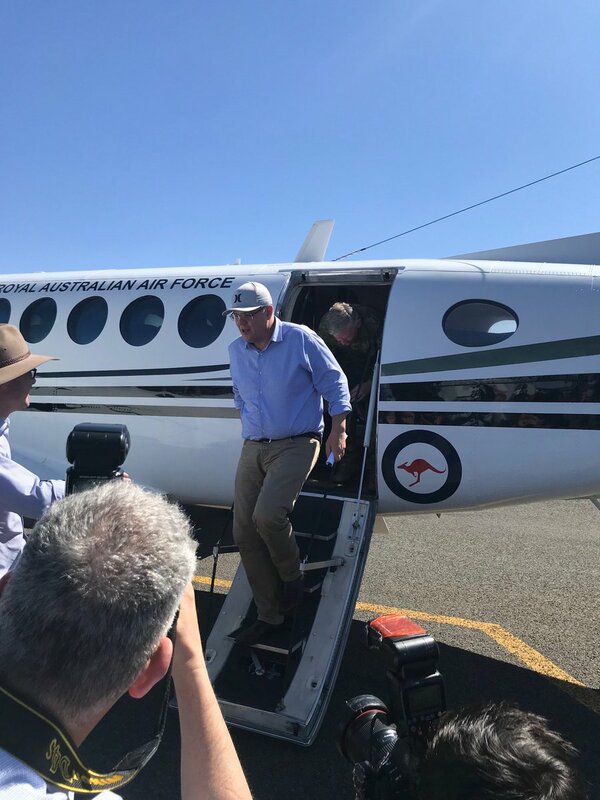 Brand new Australian Prime Minister Scott Morrison reportedly flew in before he then headed to the South-West Queensland Channel Country town of Quilpie, to view first-hand the effects of the drought which is gripping many parts of Queensland and Australia. 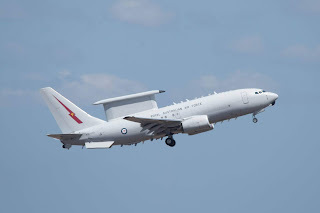 A trio of RAAF Beech B350 Super King Air turboprop aircraft were first to land at Longreach Airport with A32-651 "Regent 43" landing from RAAF Base Amberley before a pair of unidentified Super King Airs flying as "Consort 43" and "Consort 44" both touched down from Townsville. Then RAAF Boeing B737-7DF(BBJ) A36-002 looked to touch down at Longreach Airport, flying in direct from Sydney as "Wisdom 41". 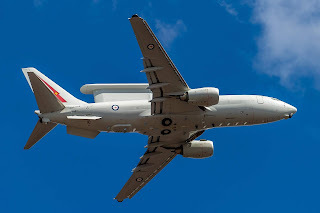 Finally RAAF Canadair CL-600-2B16 Challenger 604 bizjet A37-002 touched down at Longreach Airport, flying in from Canberra as "Consort 38". 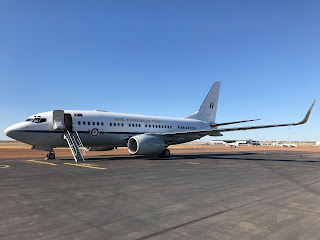 While the two bizjets stayed parked at Longreach Airport for the day, the three Super King Airs then departed to Quilpie. They returned to Longreach Airport later in the day, and as the sun was setting, A36-002 "Wisdom 41" and A37-002 "Consort 38" both departed to Canberra, while two of the Super King Airs "Consort 43" and "Consort 44" departed back to Townsville. 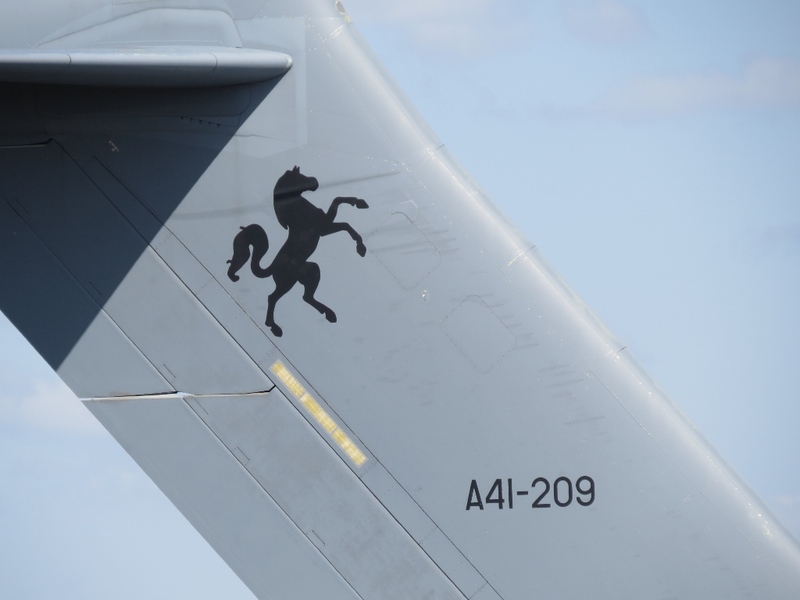 It is unclear what A32-651 "Regent 43" did! 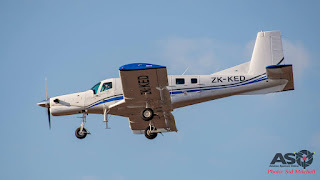 On Sunday 26 August, Pacific Aerospace (PAC) 750XL ZK-KED was noted arriving into Mackay Airport from Brisbane. It had arrived there on Saturday 25 August from Hamilton (New Zealand) via Auckland and Norfolk Island - a journey which took a couple of days. After taking on fuel, ZK-KED departed Mackay Airport for Cairns where it spent the night. 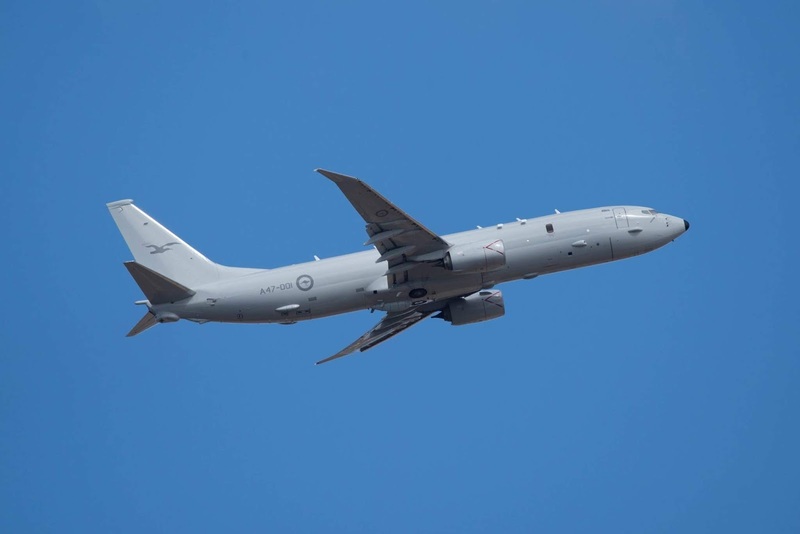 On Monday 27 August, ZK-KED continued to Gove and Darwin where it is pictured above making a late evening arrival. 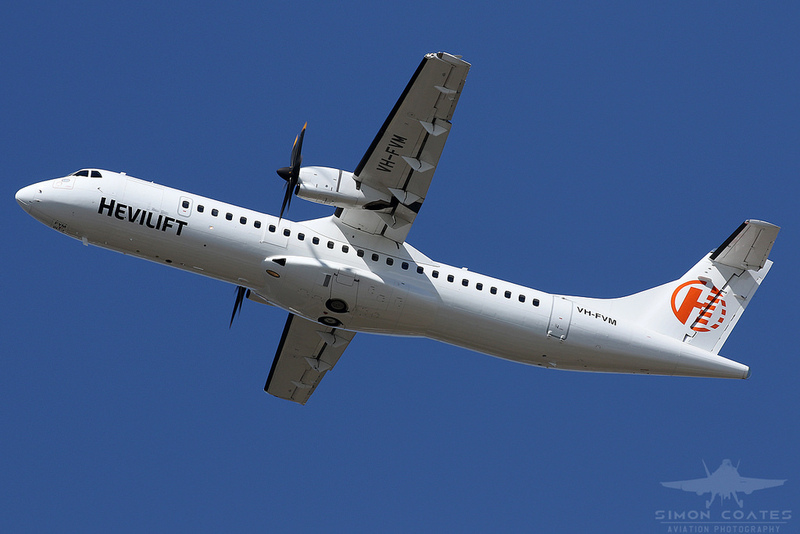 It is scheduled to depart Darwin early on Tuesday 28 August for Pattimura Airport in Ambon, Maluku, in Indonesia. 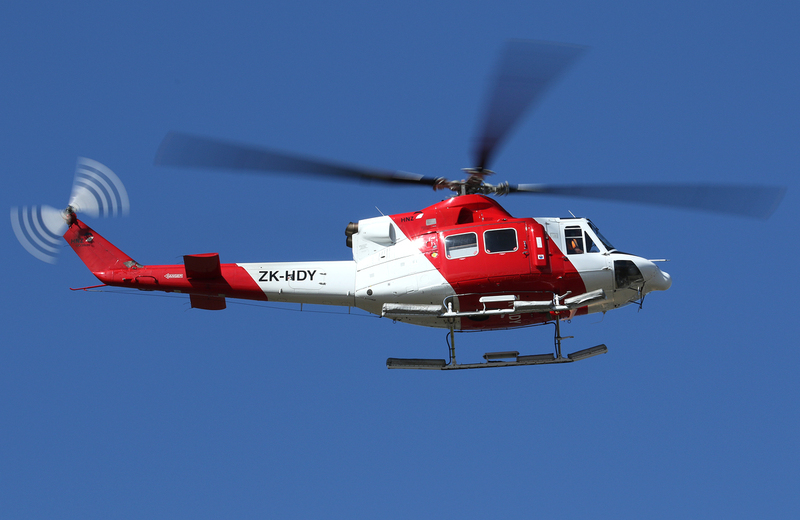 Yet another nice helicopter to pass through Central Queensland with Papua New Guinea (PNG) based Helifix Operations Bell 412EP P2-HNZ noted passing through Mackay and Gladstone Airports on Saturday 25 August while on a ferry flight from Cairns to Archerfield. 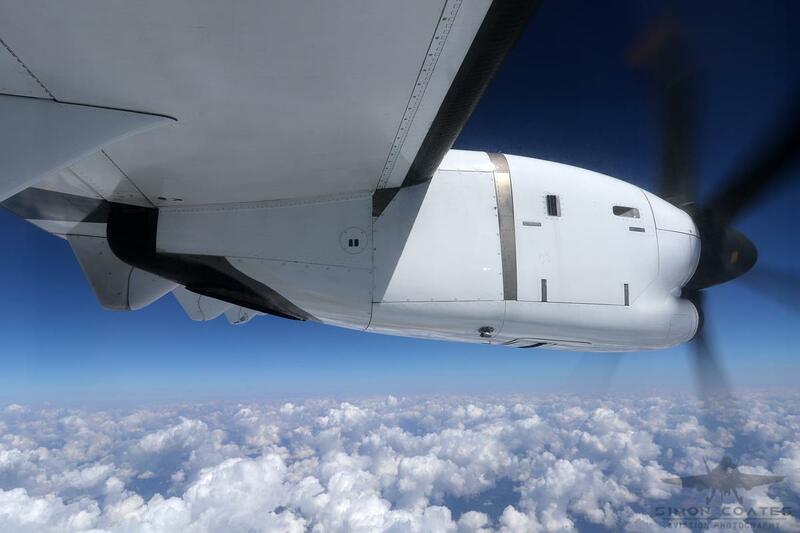 It is unclear about why it was completing this ferry flight which started in Papua New Guinea the previous day. 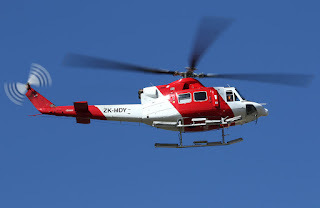 Of interest, this particular helicopter featured on the CQ Plane Spotting Blog (as shown below) in 2015 when it was ferrying to Papua New Guinea from Archerfield wearing its 'old' New Zealand registration marking of ZK-HDY. P2-HNZ is in fact this particular airframe's (c/n 36099) sixth registration marking - C-GAIN, N4110V, ZS-RVR, A6-AGS, ZK-HDY and now P2-HNZ. UPDATE! Photos of P2-HNZ have appeared on the fantastic MRC Aviation (New Zealand) Blog which reports that on Thursday 20 September, P2-HNZ was offloaded at the Ports of Auckland then flown to Ardmore and onto New Plymouth. 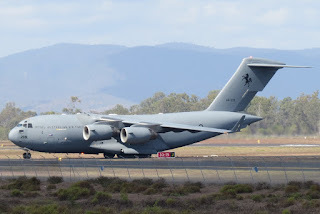 Royal Australian Air Force (RAAF) Boeing C-17A Globemaster III A41-209 Pops Back into Rockhampton Airport again as "Stallion 47"
On Saturday 25 August, and for the second day in a row, Royal Australian Air Force (RAAF) Boeing C-17A Globemaster III A41-209 was spotted visiting Rockhampton Airport while again seemingly completing a crew training flight. A41-209 was again flying as "Stallion 47" and arrived into Rocky from the North. After parking for a short while and complete a crew change, the Globemaster made a spectacular departure to RAAF Base Amberley. 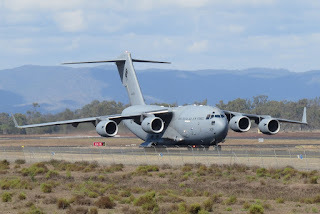 A41-209 is one of eight C-17A Globemaster III aircraft that are flown by the RAAF's No. 36 Strategic Transport Squadron based out of Amberley. 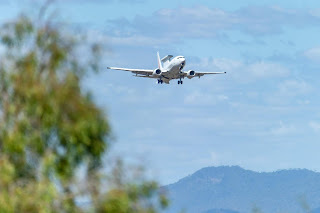 Certainly an interesting arrival into Gladstone Airport very late on Friday 24 August with Brisbane-based Cessna 525A CitationJet2 bizjet VH-MOR touching down from its Archerfield base via Brisbane. 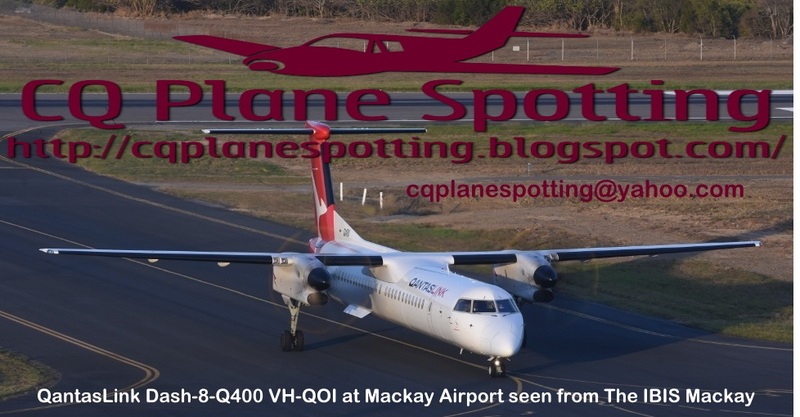 It appears to have made the late night visit to bring an QantasLink engineer to the port city to complete maintenance on QantasLink Dash-8-Q400 VH-QOW which was parked on the Gladstone Airport apron. With repairs complete, VH-MOR returned to Brisbane and then Archerfield, departing Gladstone Airport just before midnight. 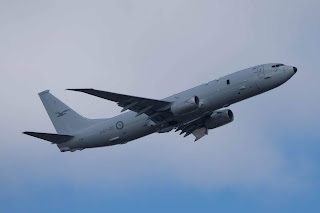 Meanwhile, of interest, VH-MOR has continued to complete flights to Moura Airport - albeit once per fortnight now it seems - but still operating to Moura Airport from Archerfield via Brisbane on a Wednesday afternoon, returning Thursday morning, of which it completed this rotation this week. 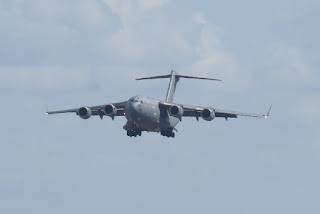 Sincere thanks to local plane spotter Michael F for taking the time to capture and send through these great photos! 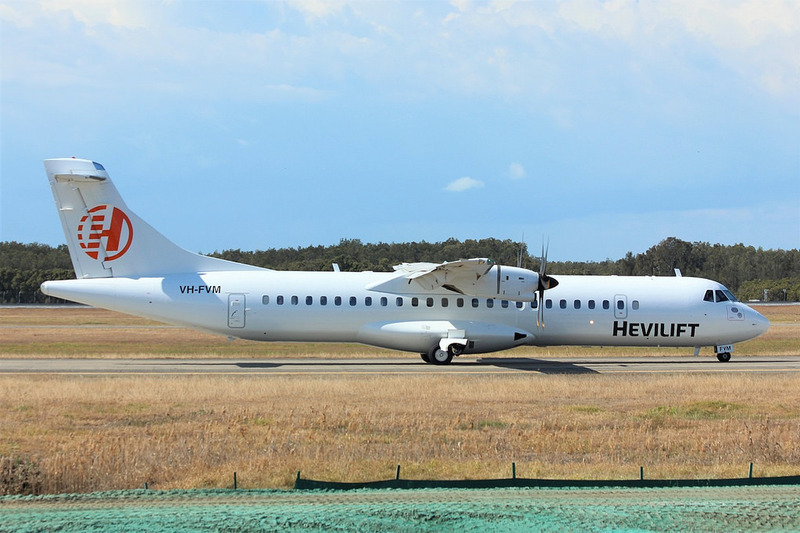 As was posted on our Facebook page, on Friday 24 August, Hevilift Australia (Fixed Wing Division) ATR 72-500 VH-FVM completed a test flight into Moranbah Airport. 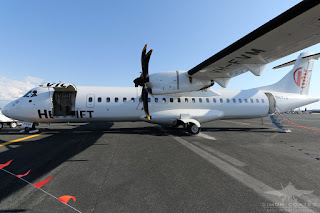 It flew in direct from Brisbane as 'HT701' / "Hevilift 701" and later returned to the capital as 'HT702' / "Hevilift 702". 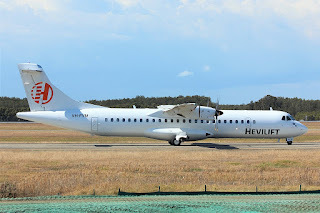 It was only the second flight of VH-FVM for Hevilift after it completed another test flight earlier in the week from and back to Brisbane. 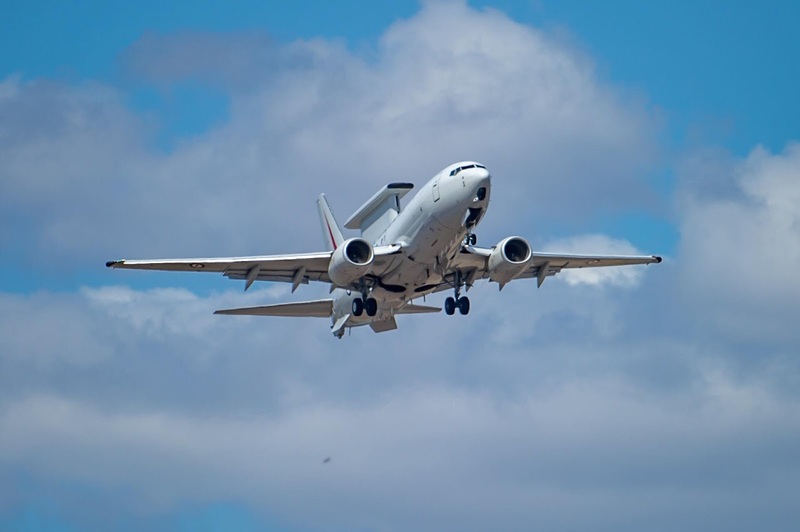 As has been mentioned several times, VH-FVM had previously operated for Virgin Australia / Virgin Australia Regional Airlines (VARA) (ex Skywest Airlines) since its delivery in Perth, Western Australia in 2011. 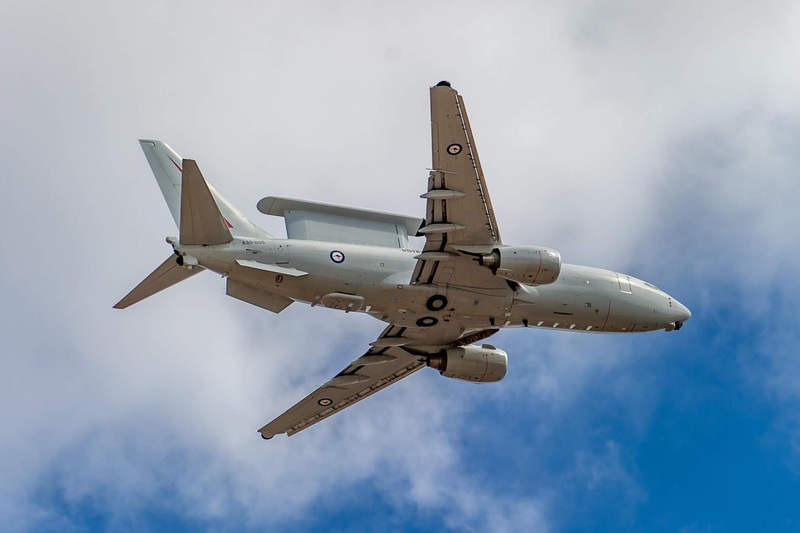 It departed Australia for storage at Nelson in New Zealand in September 2017 and returned to Australia via Brisbane in February this year before it proceeded to Cairns for maintenance prior to being delivered to Hevilift. 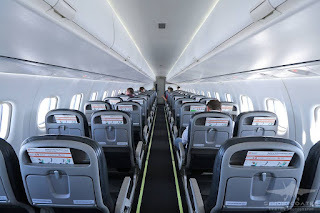 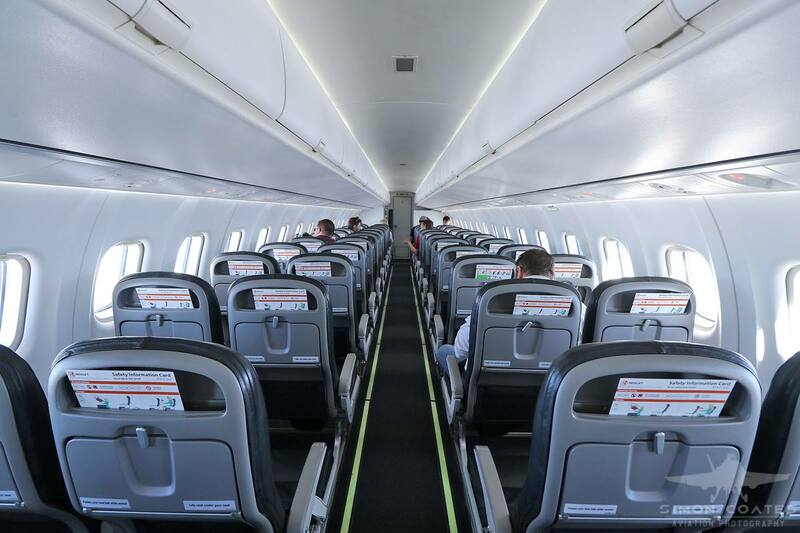 I would imagine that VH-FVM will undertake more test flights before joining ATR 42-320 VH-YWH on the airline's Fly-in Fly-out (FIFO) charter flights into Central Queensland.